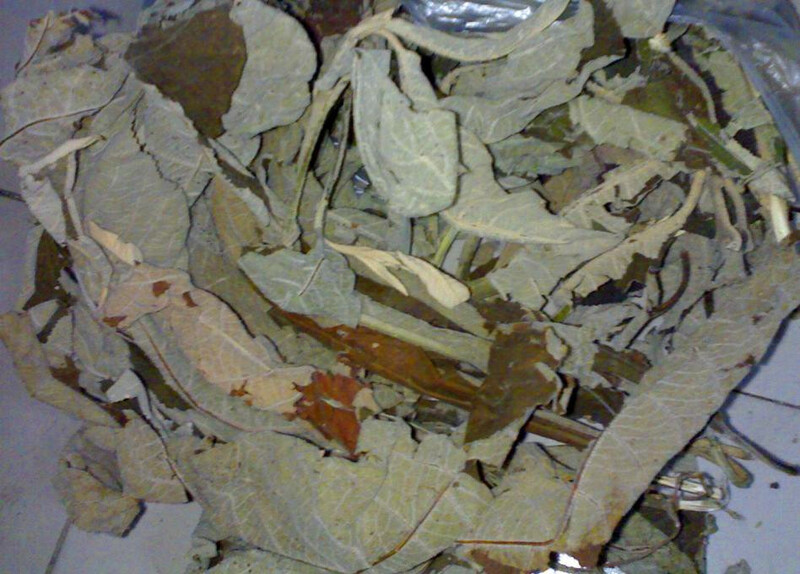 The drug is the dried stem and leaves of Callicarpa kwangtungensis Chun (family Verbenaceae), growing in shrubs of hill-slopes or on roadsides of mountain-lands, distributed in Fujian, Jiangxi, Hunan, Guizhou, Guangdong, Guangxi of China. Bitter, astringent, cool; liver, lung and stomach meridians entered. Astringe to stop bleeding, dissipate blood stasis, clear heat and remove toxicity. Sores and boils, sore throat, nose bleeding, hematemesis, hematochezia, metrorrhagia and metrostaxis, cough due to lung-heat, traumatic hemorrhage, burns and scalds. Decoct 9~15 g. Proper dosage is for external application, pounded into powder for applying on the affected area.